The Holiday Trio from Lou It Yourself will be available November 25th at 10:00am Central. 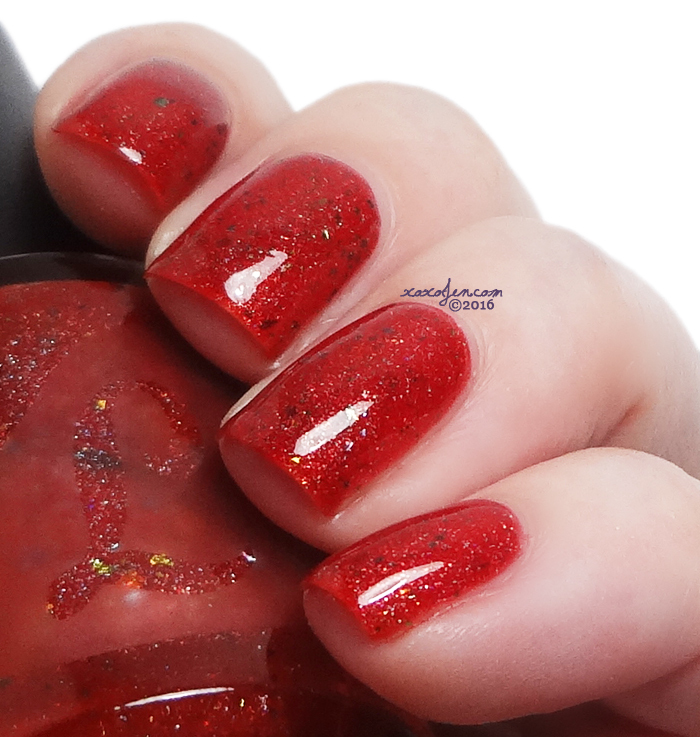 The polishes each have a holo and flakie finish which is simply perfect for the holidays and year round. Take a look! 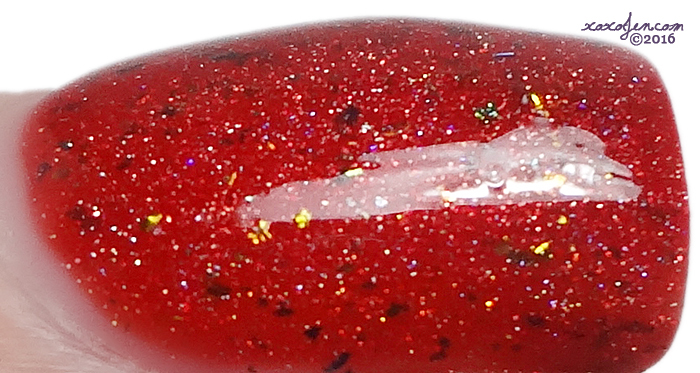 A warm red jelly with green/gold flakies and a dash of holo. Red like a ripe tomato! I can't wait for spring so we can grow tomatoes again! A silver shimmer full of holo shards, platinum and silver flakies with a dash of holo. I love how bright and sparkly this is! It's one of those silvers that look nearly white. This also looks great as a topper! 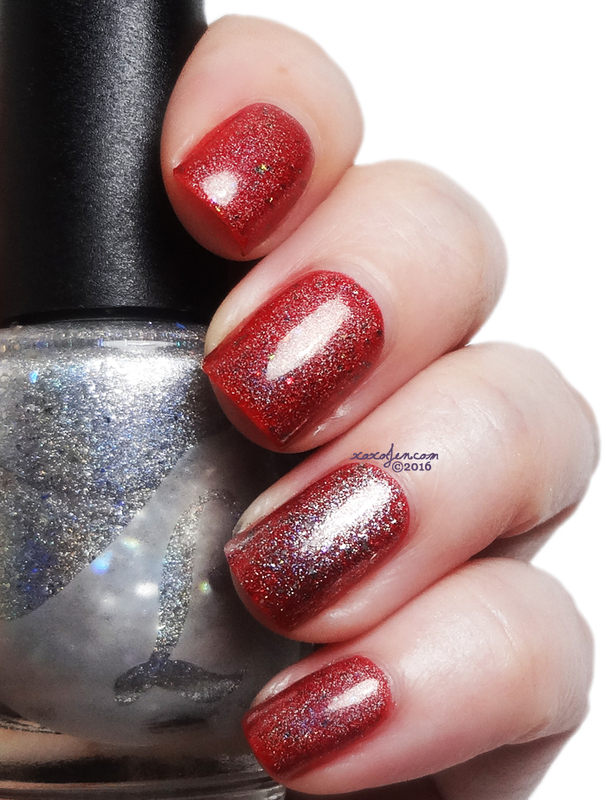 Worn on the ring finger over Jingle McKringleberry and the other nails are topped with Oh, Holo There, a holo top coat that Lou also sent! 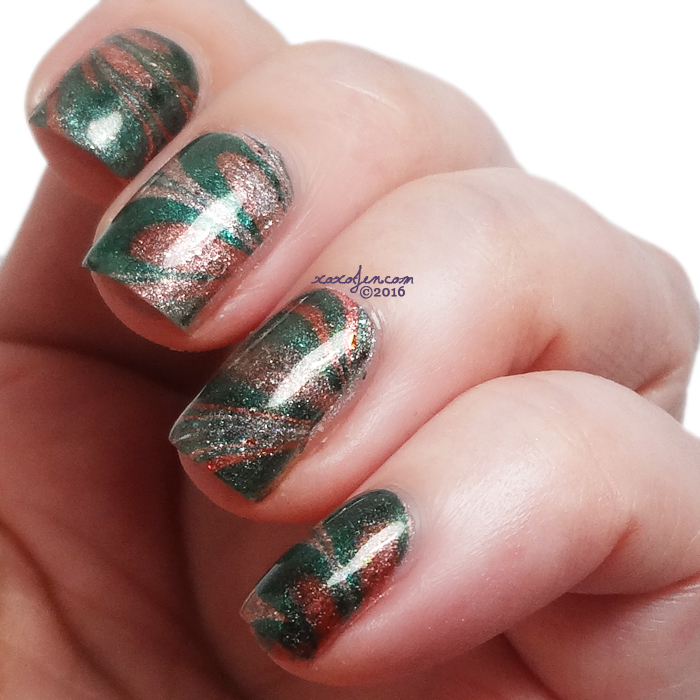 A dark emerald with copper shimmer, gold flakies and holo. What a fun name, I love the creativity here! 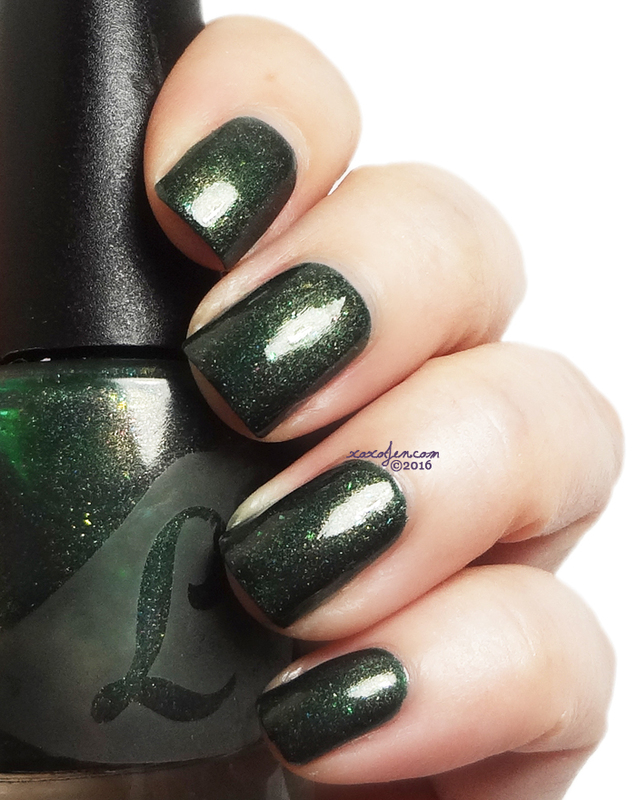 I wore three thin coats of each polish with Lou It Yourself's To Top It Off topcoat. 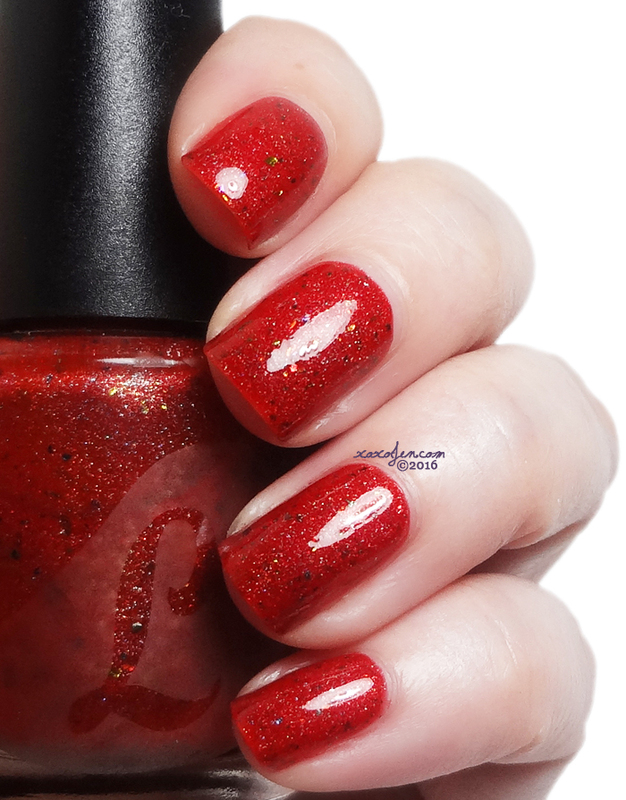 The formula was fluid and easy to apply for all three polishes and I enjoyed trying Lou's topcoat. It seemed to dry fairly quick and was super shiny! If you're on the hunt to try a new topcoat, I can recommend this one. 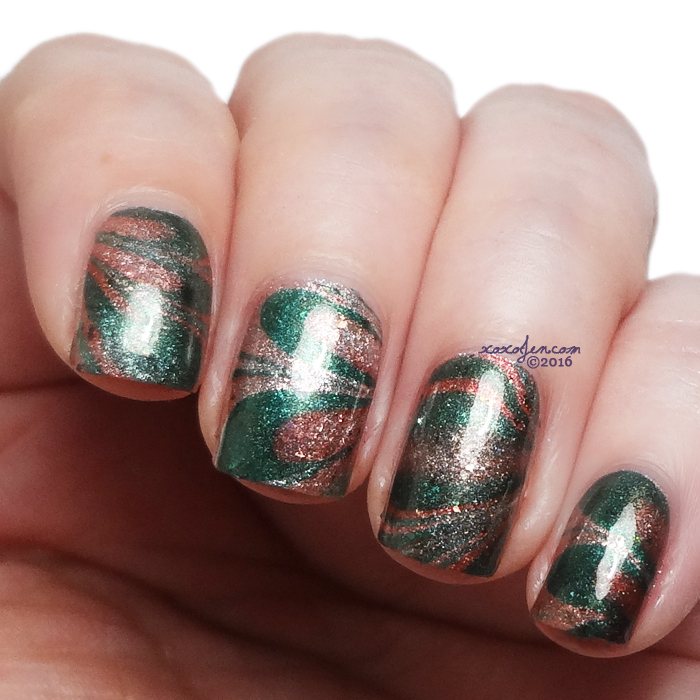 I was curious whether these would watermarble and yes, they do! I wore these over A Serious Case of Tinsellitis and I really love how Jingle McKringleberry looks like a shade of rose gold in some areas! A nice holiday trio this is. Love the water marble design you created with them.